“When thinking about prescription drug addiction, one might understandably and automatically picture a young adult. Those 18 to 25 years of age “are the biggest abusers of prescription … opioid pain relievers, ADHD stimulants and anti-anxiety drugs,” according to the National Institute on Drug Abuse. However, research shows that there’s been a surge over the past decade in opioid misuse – which includes heroin as well as the powerful prescription pain narcotics like fentanyl fueling an overdose epidemic – in older adults. “As far back as October 2017, Trump declared the U.S. opioid crisis to be a public health emergency under federal law: “I am directing all executive agencies to use every appropriate emergency authority to fight the opioid crisis,” the president said. Brett Giroir, assistant secretary for health and senior adviser for opioid policy at the Department of Health and Human Services, told Yahoo Finance that there’s “no simple answer” for how the epidemic began. The 660-page opioid bill that passed Congress and was signed October 24 by President Trump has important provisions for opioid treatment programs (OTPs). The most significant provision expands coverage to Medicare patients. 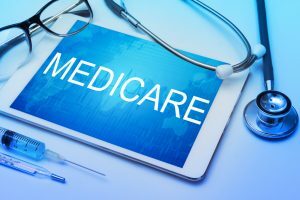 Starting in 2020, Medicare will be required to pay a bundled rate for medication-assisted treatment (MAT) in an OTP. This means that when patients turn 65 and lose their Medicaid or commercial insurance, getting Medicare instead, they will be able to stay in treatment. Other aspects of H.R. 6, also called “Substance Use–Disorder Prevention that Promotes Opioid Recovery and Treatment for Patients and Communities Act,’’ or the ‘‘SUPPORT for Patients and Communities Act,” have ramifications for OTPs as well (see below). The OTP Consortium has expressed its support for this measure since last February, when Rep. George Holding (R-North Carolina) first put forward the measure under House Resolution 5080, the Comprehensive Opioid Management and Bundled Addiction Treatment (COMBAT) Act of 2018. 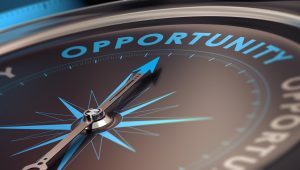 “Congressman Holding’s legislation opens the door to patient access for a vulnerable Medicare population that currently lacks coverage for Opioid Use Disorder (OUD) treatment provided by OTPs. I commend Congressman Holding and his colleagues for crafting a bill that will certainly improve our nation’s response to the opioid crisis by filling this treatment gap and assisting this population on their Road to Recovery,” stated Peter Morris, Group President of Acadia Healthcare. That measure became incorporated into H.R. 6. The bill “is an extraordinary opportunity for patients, and I do not see any part that is a threat to treatment,” said Mr. Parrino. OTPs provide not only medications—methadone, buprenorphine, and naltrexone—but support services, which may include counseling, toxicology screening and lab services, case management, primary care, and mental health services. The FDA-approved medication methadone, as part of a MAT program, has been recommended by the National institutes of Health as the most effective treatment option for OUD. OTPs provide medically supervised access to this medication as well as buprenorphine and naltrexone, along with support services. Medicare beneficiaries show a clear need for OUD treatment: 300,000 beneficiaries have been diagnosed with OUD, Medicare hospitalizations due to complications of opioid misuse increased 10% a year, and 30% of Medicare Part D enrollees used prescription opioids in 2015. It has taken Mark Parrino more than 10 years to get this legislation passed. It was impossible for the Centers for Medicare and Medicaid Services to make the change on its own: Congress needed to act in order to approve the bundled rate. The Senate side had proposed a demonstration project, which would have covered a fraction of Medicare patients at greater cost. According to the Congressional Budget Office, the full Medicare benefit will cost $243 million, which, if it covers all 300,000 Medicare beneficiaries with an OUD, would cost $810 per person. The Medicare provision is Section 2005 of H.R. 6. Now, it’s up to OTPs to gear up to bill Medicare, once CMS sets the bundling rate and codes. All opioid agonist and antagonist treatment medications (including oral, injected, or implanted versions) that are approved by the Food and Drug Administration for use in the treatment of opioid use disorder would be covered, including dispensing and administration. Counseling, including individual and group therapy, for substance use would be covered to the extent authorized by state law. Toxicology testing would be covered. Medicare will pay OTPs an amount which is equal to 100% of a bundled payment for OUD treatment services, starting January 1, 2020. Demonstration project to increase substance use provider capacity under the Medicaid program. Guidance to improve care for infants with neonatal abstinence syndrome and their mothers; GAO study on gaps in Medicaid coverage for pregnant and postpartum women with substance use disorder. Medicaid health homes for substance-use-disorder Medicaid enrollees. More flexibility with respect to medication-assisted treatment for opioid use disorders. Medication-assisted treatment for recovery from substance use disorder. 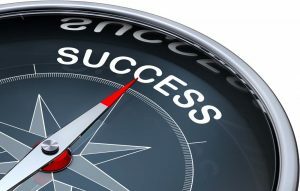 Grants to enhance access to substance use disorder treatment. Access expansion under the Medicare program to addiction treatment in Federally Qualified Health Centers and rural health clinics. Review required of quality measures relating to opioids and opioid use disorder treatments furnished under the Medicare program and other federal health care programs. Report on addressing maternal and infant health in the opioid crisis. Comprehensive opioid recovery centers , which would provide inpatient and outpatient treatment with all FDA-approved medications, including methadone. 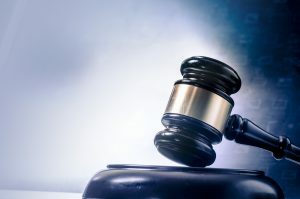 This summer, Bay Area Addiction Research and Treatment (BAART) sued the city of Concord, California after a three-year effort to site its methadone clinic there. Amitai Schwartz represented BAART and BAART’s owner, BayMark Health Services. It is a classic case; everything seemed to be moving forward (with some hitches, of course), and after a few years a site was located. Then the neighbors heard about it. They protested, and local officials caved to the popular pressure. The lawsuit requests an injunction against the city and anyone succeeding or working with it from prohibiting the use of the location─2152-58 Solano Way─as a methadone treatment clinic. It also requests costs and attorneys’ fees. The city’s economic development office allowed the use of the facility at the location, and classified it as a medical office. However, city planners then reclassified it as a medical “clinic,” a use that is not allowed in a commercial and mixed-use zoning district. BAART then went looking for other spots, found one that did allow a medical “clinic,” and began paying rent at the site in April. In November of 2017, however, NIMBY (not in my back yard) took over the official process, and residents didn’t want the facility near them. At the same time, the city’s economic development office decided the center should be a “social service facility,” which requires an additional permit. The lawsuit─like others involving NIMBY─is based on the state’s incorporation of the Americans with Disabilities Act (ADA). In the lawsuit, BAART charges the city with changing the classification of the facility, with the intention of violating the rights of people with disabilities. Under the ADA, patients seeking or in treatment at Opioid Treatment Programs (OTPs) have a protected disability. BAART already has two other OTPs in Contra Costa County, where Concord is located. One of them, in Antioch, lost a legal fight to prevent the clinic from locating there in the 1990s. The case was filed in United States District Court for the Northern District of California, and is called BAART Programs, Inc., BayMark Health services, Inc., and Addiction Research and Treatment, Inc. vs. City of Concord and Andrea Ouse (who changed the designation to “social services facility” after residents protested the siting). “Under California law it is unlawful to discriminate because of disability or the perception that a person is disabled,” the lawsuit states. “The patients who would be treated at the BAART clinic are disabled within the meaning” of state code. 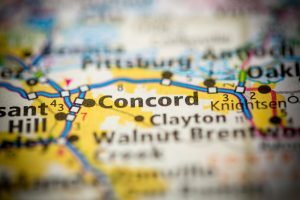 For a Contra Costa County report that found more treatment is needed, go to http://www.cc-courts.org/civil/docs/grandjury/1806_The_Opioid_Crisis.pdf. Under federal law, newly enrolled methadone patients must attend a methadone program six days a week, so caregivers can watch as patients are dosed. But here’s the problem: Because many new methadone patients don’t have an opioid treatment program (OTP) nearby, this need for daily attendance markedly affects adherence. In fact, 20% to 50% of patients report poor or partial adherence during the most critical time of treatment—the first month, when patients face the highest risk of death. That’s the subject of a study published this month in Journal of Substance Abuse Treatment. The study’s authors, most of whom are affiliated with Washington State University, assessed the relationship between spatial access to the only state-funded OTP in Spokane County, Washington, and adherence to treatment during the crucial first month. Authors’ Hypothesis—Treatment adherence is lower in new patients who live farther from the OTP. The 892 patients received their first month’s treatment sometime between February 2015 and December 2017. In the first three months, patients were required to complete 12 sessions of cognitive or behavioral therapy. After three months, take-home doses could be considered for those with good adherence. Also, mandatory attendance for therapy dropped to once monthly. Median age was 34 years. The older the patient, the less the likelihood of missed doses. For every year of greater patient age, missed doses dropped 2%. The authors commented that previous studies suggest that lower income, higher medication costs, and transportation barriers may influence nonadherence, affecting Medicaid patients, such as those in this study. Patients were most likely to miss Saturday and Sunday doses. The staff provided Sunday take-home doses only until 2 PM Saturday. The research team found that during the first month of treatment, “significant positive associations” existed between the number of doses patients missed and the distance patients traveled to the OTP. 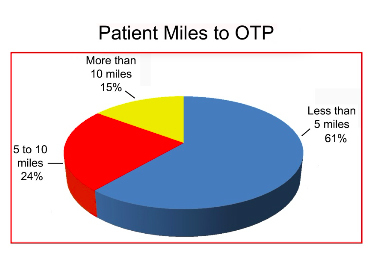 The authors stressed the importance of regular attendance, and the need to “improve the spatial availability of OTPs” for patients scattered throughout the area. Methadone treatment is known to reduce or eliminate drug use, risky sexual behavior, criminal behavior, and deaths. But many OTP patients lose these benefits early, because no OTP is nearby. Evidence points to the first month as being key. COMMENT: The authors have provided valuable data showing that the legal need to observe patients’ daily dosing may affect compliance. They’ve also raised important issues for further investigation. In the meantime, laws have been passed limiting the availability of prescription opioids, and other investigators have suggested different approaches to the opioid problem, described below. Rosenblum et al. Writing in The Journal of Environmental and Public Health, these authors recommended flexible take-home policies, mobile methadone maintenance services, and methadone medical maintenance—methadone provided by an office-based physician, or a pharmacy. Good ideas, all awaiting implementation. But the awaiting continues: The study was published seven years ago, the opioid crisis continues to surge, and the obstacles remain. Given the variety of approaches to the opioid crisis—restricting opioid prescriptions, constructing more OTPs, allowing primary-care prescribing—what’s the best way to proceed? A team from Stanford University used sophisticated modeling tools to assess the benefits and harms of various responses to the opioid crisis. 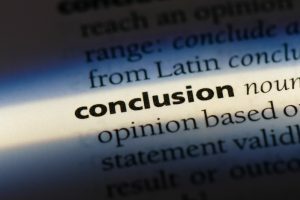 They found that policies that expand addiction treatment or mitigate addiction’s harmful effects, such as overdose and infection, are “immediately and uniformly beneficial.” And they lack negative consequences, such as increasing heroin-related deaths. The team published its findings this month in the online edition of The American Journal of Public Health. What, then, is the best policy? It seems there’s no perfect answer. The Stanford team suggested “a portfolio of interventions,” but these would include reducing the prescription opioid supply, probably increasing heroin use temporarily. It would also deprive some patients with chronic pain of a medication they legitimately need. Opening more OTPs, as the Washington State team recommends, wouldn’t have that disadvantage, and the data indicate it would optimize treatment outcomes. Amiri S, Lutz R, Socias ME, McDonell MG, Roll JM, Amram O. Increased distance was associated with lower daily attendance to an opioid treatment program in Spokane County Washington. J Subst Abuse Treat. 2018;Oct;93:26–30. doi:10.1016/j.jsat.2018.07.006. Rosenblum A, Cleland CM, Fong C, Kayman DJ, Tempalsky B, Parrino M. Distance traveled and cross-state commuting to opioid treatment programs in the United States. J Environ Public Health. 2011; article ID 2011;948789. Epub 2011;July 6;doi:10.1155/2011/948789. Saitz R, Daaleman TP. Now is the time to address substance use disorders in primary care. www.annfammed.org/content/15/4/306.full. Ann Fam Med. 2017;(July);15(4):306-308. doi:10.1370/afm.2111. Samet JH, Botticelli M, Bharel M. Perspective: Methadone in primary care — One small step for Congress, one giant leap for addiction treatment. N Engl J Med. 2018;379:7-8. doi:10.1056/NEJMp1803982. Pitt AL, Humphreys K, Brandeau ML. Modeling health benefits and harms of public policy responses to the US opioid epidemic. Am J Public Health. Epub ahead of print August 23, 2018:e1-e7. doi:10.2105/AJPH.2018.304590. The bipartisan opioid bill was approved by the Senate and House of Representatives conferees, and is now headed for a full vote in the House. 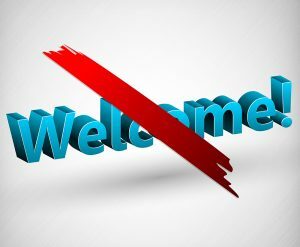 There is much good news: Confidentiality under 42 CFR Part 2 is still protected, and Medicare will cover treatment for all in an OTP (opioid treatment program) with methadone as well as with other approved medications. Under the House version, 42 CFR Part 2 would have been replaced by HIPAA, severely limiting patients’ rights to control access to their medical records. Last week the American Medical Association wrote lawmakers, urging them to protect 42 CFR Part 2, saying that without it, patients would hesitate to seek treatment (as the American Association for the Treatment of Opioid Dependence, as well as coalitions of patients, and the Legal Action Center, have said repeatedly). The House version of the opioid bill would provide for complete coverage by Medicare for patients in OTPs, so they would not have to drop out of treatment─or pay for it on their own─once they turn 65. That is how the final bill reads, as well. The Senate version, however, would have provided for only a five-year pilot project. On September 25 the House of Representatives Ways and Means Committee conferees released the text of H.R. 6 (https://docs.house.gov/billsthisweek/20180924/HR6.pdf). Next, the full House must vote on the bill, which could take place this week. There could still be changes, at the last minute, if major mistakes are found. Still, these two measures were watched closely by OTP advocates, as the opioid legislation went through Congress. The start date for Medicare coverage is January 1, 2020. 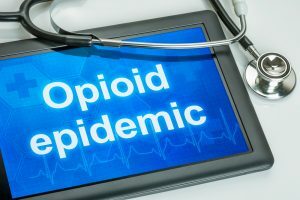 Issued by the Agency for Healthcare Research and Quality (AHRQ), the reports reveal that millions of older Americans are now filling prescriptions for many different opioid medications at the same time, while hundreds of thousands are winding up in the hospital with opioid-related complications.the team found, opioid-driven complications were the cause for nearly 125,000 hospitalizations—and more than 36,000 emergency department visits—among seniors in 2015. 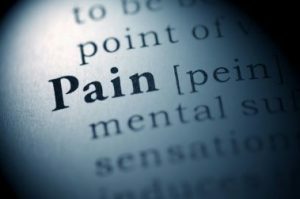 “Nearly 30 percent of U.S. patients prescribed opioids by doctors over the course of a decade had no recorded pain diagnosis, according to a new letter published in the Annals of Internal Medicine. Researchers analyzed data from 31,943 visits in which a patient age 18 or older received an opioid prescription, part of the National Ambulatory Medical Care Survey. The Centers for Disease Control and Prevention conducts this annual survey to track why people visit physician offices, what diagnoses, services and treatments they receive, and what medications are prescribed. “Among older Americans, the poorest are the most likely to have used prescription opioids, according to a University at Buffalo study providing new insights into unexplored contours of the opioid crisis.